Life gets better for buyers because cash discounts, freebies and financing deals are up for grabs. 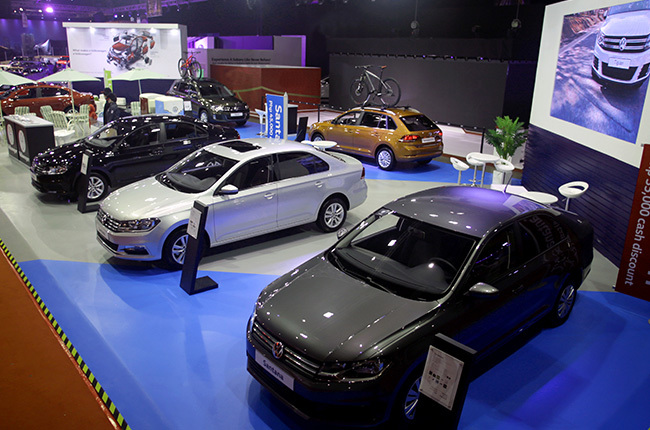 Volkswagen Philippines joins MIAS once again at the World Trade Center in Pasay City. The German brand put its latest fleet of vehicles on display at their booth. The German designed automobiles are available at price points that are accessible to most, bringing Euro cars to the masses. A prominent display at MIAS, the Volkswagen area is well lit and hard to miss. Visitors of the display area can go up close and personal with the newest models that VW has to offer for the Philippine market. For subcompact buyers, take a gander at the Santana in Pepper Grey. A unit that features VW’s MPI 1.4L engine with a manual transmission. Another Santana, an S variant in Reflex Silver, is equipped with the Blaupunkt infotainment system. The SE trim is featured in a Deep Black color and also features the upgraded infotainment system from Blaupunkt. If subcompact sedans aren’t your thing, the Red Rock color is prominently featured on a GTS SE version. The GTS is the wagon version and features the same trimmings and chassis as the sedan models. Moving over to the crossover in the range, the Tiguan sports a Hunting Brown colored 280 TSI DSG SE with Blaupunkt variant that graces the booth. For midsize sedan lovers, the Lamando is also present in the form of 280 TSI DSG SEL trim. The sole compact sedan, the Lavida, is also on display and ready to wow in the 230 TSI DSG SE fitted with Blaupunkt system, as well. With every car hitting most price points that are sure to entice Filipino car buyers, Volkswagen assures that there is a car that will be able to suit your needs or at least pique your interest in their booth this year. On top of the display, you may also avail of several add-ons as well as discounts and financing deals. The first 50 customers to avail will be able to get these offers so find your way to MIAS this year and look for the VW booth if you want a great deal. The discounts are as follows, for MT variants of the Santana, an outright discount of P35,000 will be on offer. For the AT variants however, P45,000 will be discounted outright from the price tag of the subcompact. For the GTS station wagon, buyers can expect a free ceramic coating to prolong the life of the vehicle’s paint before it even rolls off the lot. Related: What is car paint protection and is it worth your money? The Lavida lovers in MIAS who opt for this compact sedan will get a P55,000 outright discount from the German marque. Lamando buyers will also get special treatment in the form of a ceramic coating, the same as the Santana GTS. For a family oriented car, the Tiguan will fit the bill. 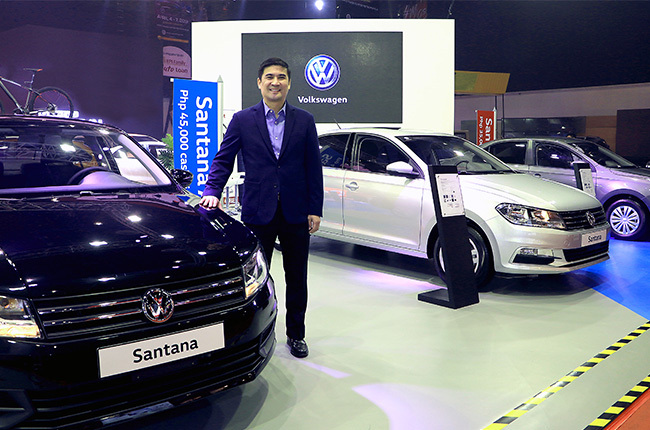 VW is offering prospective buyers with a P25,000 discount. For all models, the warranty is comprehensive. Apart from the 3-year or 100,000 km general warranty, VW also offers a warranty of the same length for the paint and the body structure’s corrosion resistance. VW has also partnered with BPI Family Savings Bank to give its new customers a better experience in owning their german automobile. Free first year comprehensive car insurance is offered to those who will avail of loans greater than or equal to P500,000 and at a minimum 36-month or 3-year term. Free chattel mortgage fees, free Petron fuel cards, and lower interest rates can be had through BPI.